The recurrent pattern of the slowly ongoing discussion on Hebrew cosmology at Biologos is interesting. An allusion to Seely, or to some other secondary source, is adduced to assert that such and such a nation believed without exception in a solid firmament and a celestial ocean “just like Israel”. I refute this from primary sources or specialist literature. Rather than being withdrawn, the claim then gets transferred to another nation, a bit further downstream from ancient Israel, and round we go again. ‘the [blazing] pinions of …..5 (are veiled). ‘towards the two hills bounding the earth. ‘be counted with them that go down into the earth. This passage, the only mention of these two mountains, shows them simply as the end of the earth and as the entry to the underworld (the editor’s notes suggest it’s probably just a colourful description of sunset!). There is no mention of anything supporting the sky at all, despite the welter of modern sources simply assuming there must be to fit their pre-determined cosmology. So at this point in the dialogue someone said that all the Jews of the Second Temple period definitely believed in the solid raqia and the celestial ocean, and that “The folks best placed to understand the meaning of the ancient Hebrew text would be the ancient Hebrews themselves.” Reference was also made to the Church Fathers, but I’ve already commented on St Basil here, and if anyone could produce contrary examples, so what? Are we in the least surprised if Greek-speakers living Christians can’t agree on long-gone cosmology? The only evidence in favour of the solid raqia and heavenly ocean at that remove would be near-unanimity. But the problem is, it’s hard to find support for it at all in ancient texts – though perhaps not quite impossible, as we shall see. 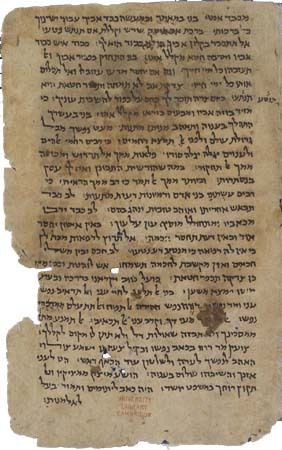 Clearly, a Jew in 100BC cannot be assumed to have preserved an unaltered understanding of 2nd millennium BC cosmology – the Jews had been through exile under the Babylonians, colonisation by the Persians and systematic hellenisation by the Greeks and Romans, so I suggested in the discussion that one would likely find in the literature a progression through time of all those systems, mixed perhaps with “modern” understandings of the ancient texts influenced by them, or maybe in reaction against them (just as Creationist literalism reacted to secular modernism). You wouldn’t necessarily expect an ordinary black American to have a good grasp of the eighth century tribal culture of Benin simply because of descent – nor even a Protestant Fundamentalist to give you the run-down on scholastic metaphysics simply because of handed-down western Christian tradition. That’s indeed what we find in the intertestamental period. Since the subject won’t let me go, I did some research instead of capitulating to the usual unsubstantiated claims. Interesting findings emerged, as ever. 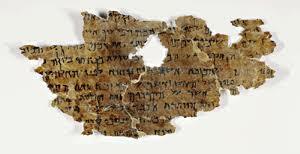 Let’s start with Ben Sirach, whose Ecclesiasticus, of maybe 150BC, is part of the Old Testament Apocrypha, regarded as canonical in the Catholic and Orthodox churches, and even by some Jews in the past. He was an educated, faithful (meaning, at that time, anti-hellenic) Jew, wrote in Hebrew and was translated into Greek by his grandson, both versions being extant. The two chapters with some cosmology are chs 24 and 42. I came out of the mouth of the most High, and covered the earth as a cloud. I dwelt in high places, and my throne is a cloudy pillar. I alone compassed the circle of heaven, and walked in the bottom of the deep. In the waves of the sea, and in every people and nation, I got a possession. This is pretty conformable to the simple phenomenological descriptions in the Old Testament. Notable is that heaven is a circle, not a vault (this does match the Babylonian concept of disk-like earth and heavens). The link with the cloudy pillar of Exodus is intriguing, but easily diverts us from the fact that what is being described are creation’s extremes: the highest level of heaven is a pillar of cloud, and the lowest level of creation the floor of the deep. Horizontally are land and sea. There is no heavenly ocean above, nor bottomless deep below. There’s no mention of a solid raqia, either. at noon it parches the country, and who can abide the burning heat thereof? and a sign of the world. very beautiful it is in the brightness thereof. and the hands of the most High have bended it. and sendeth quickly the lightning of his judgement. Through this the treasure-stores are opened: and clouds fly forth like fowls. By his great power he makes the clouds firm, and the hailstones are broken small. A present remedy of all is a mist coming speedily: a dew coming after heat refreshes. [A few lines about sea, land and the beasts. The first thing to note is that if the raqia is solid, it is also transparent, so in Sirachs’ view it cannot be made of the metal or stone construction usually claimed. But its solidity too must be in doubt when the sun, moon and stars, said to be “in the firmament”, also said to be in “the highest places of God”, rather than embedded in a solid vault below a large body of water, whose existence is entirely unmentioned. Likewise absent is an abyssal ocean beneath the world – when ben Sirach refers to the deep, it is that in which islands are planted, that is, the ordinary sea. Even the rainbow is situated in the heavens, not below them – recalling Genesis 9 which places it “in the clouds”. I saw the treasuries of all the winds: I saw how He had furnished with them the whole creation and the firm foundations of the earth. And I saw the corner-stone of the earth: I saw the four winds which bear the earth and the firmament of the heaven. And I saw how the winds stretch out the heavens, and have their station between heaven and earth: these are the pillars of the heaven. I saw the winds of heaven which turn and bring the circumference of the sun and all the stars to their setting. I saw the winds on the earth carrying the clouds: I saw the paths of the angels. I saw at the end of the earth the firmament of the heaven above. And I proceeded and saw a place which burns day and night, where there are seven mountains of magnificent stones, three towards the east, and three towards the south… And beyond these mountains is a region the end of the great earth: there the heavens were completed. And I saw a deep abyss, with columns of heavenly fire, and among them I saw columns of fire fall, which were beyond measure alike towards the height and towards the depth. And beyond that abyss I saw a place which had no firmament of the heaven above, and no firmly founded earth beneath it: there was no water upon it, and no birds, but it was a waste and horrible place. [this is the only mention of the firmament in 1 Enoch]. And in those days shall punishment come from the Lord of Spirits, and he will open all the chambers of waters which are above the heavens, and of the fountains which are beneath the earth. And all the waters shall be joined with the waters: that which is above the heavens is the masculine, and the water which is beneath the earth is the feminine. And they shall destroy all who dwell on the earth and those who dwell under the ends of the heaven. And when they have recognized their unrighteousness which they have wrought on the earth, then by these shall they perish. The overall impression of these passages is that they are clearly “Genesis with embellishments”. To deal with the second first, it comes within a sequence of judgements, and might refer to a revisited world flood, but more likely to the original flood viewed in the future from Enoch’s time-frame. In either case it is simply aiming to restate the Genesis events. Though ones first impression is that it affirms the existence of an ocean above the firmament, note that what are opened from above are the “chambers” of the waters. The writer may have in mind literal reservoirs, but heavy rainclouds would amount to the same thing (see below), and it certainly cannot mean an ocean produced, with no further “processing”, by the splitting of the waters in Genesis by a firmament. Ch18 may well be by a different (and earlier) author, so we cannot assume uniformity in the cosmology. But the most dramatic thing to note, and the most important for our purposes, is that not only are pillars of heaven mentioned, but unlike the two mentions in canonical Scriptures they are actually described. And they are not mountains, as is universally claimed by the solid raqia proponents – but instead they are winds. Winds are expressly stated here to support both the earth and the raqia, to stretch out the heavens, to stand between heaven and earth and, in short, to be “the pillars of heaven”. It doesn’t stop there, for these winds actually move the heavenly bodies in the firmament and, specifically, carry the clouds just as they carry the firmament. Now, the first obvious point is that if the Israelites purportedly needed solid mountains to support the solid raqia they believed in, they wouldn’t simply substitute insubstantial winds to do the same job. The implication is that the raqia may not be solid at all, any more than its pillars. The second point is that the writer mentions no ocean above the heavens – the winds are free to move the firmanent and its contents around – and it does mention the clouds, though not any other waters. Now my purpose in this whole post is to show that second temple Judaism is not a reliable source on ancient Genesis cosmology, against those who claim it is. But if we play the game by their rules rather than mine, then this is the one text I have seen in Hebrew literature that specifies what the “pillars of heaven” actually are, since no biblical text does – and those pillars are winds, not mountains. If one is going to ignore that evidence, then one should ignore everything from the intertestamental period. Enoch does actually mention mountains, but only as “boundaries” he has to pass to reach the end of the earth – which you’ll recall is not mentioned in the Genesis text, where only the vertical “layer cake” is described, not the extent of the world: he’s speculating for theological reasons. Nevertheless what he describes is rather consistent with how Horowitz describes the limits implict in Babylonian texts: at the end of the world both the earth and heavens run out, and an abyss falls away below (apparently dry, but it might be watery, like the world ocean). Beyond this point, all is chaotic (but expressly not watery!). But at this boundary, the edge of heaven is still high above the edge of the earth: the heavens are flat, like a hoop, not vaulted like a dome and sealed to the earth to exclude a heavenly body of water. The writer expresses no thought of an open body of water up there. And nothing indicates any type of material for the firmament itself, except that it ends in mid air. And on the second day He created the firmament in the midst of the waters, and the waters were divided on that day – half of them went up above and half of them went down below the firmament (that was) in the midst over the face of the whole earth. This suggests a large body of water, even if it doesn’t specifically differentiate “waters” from clouds; and in accord with this the role of the windows of heaven in the Flood are reproduced in describing it. But another extra-biblical touch is in the emphasis made on all the water draining off into the abyss, with no implication of a water cycle to get it back into the sky again. Logically, the heavenly waters would be, at least, considerably depleted after the Flood. Incidentally, the creation of Day 3 in Jubilees is reminiscent of what we read in 1 Enoch, in that to make the dry land the surplus water is displaced to the edges of the world and, note, “beyond the firmament”. This again best matches the flat and open firmament seen in Babylonian sources, rather than a vaulted solid raqia which was, according to the supporters of that theory, intended to be watertight. None of the sources mention any one-way valves to let drainage water out but not in! The last source to mention in this study is Philo, the Jewish philosopher in Alexandria contemporary with Jesus. In distinction to a writer like that of Jubileess, who was deeply resentful of the hellenizing rebellion of the high priest Judas which had led to the devastation caused by the Seleucid king Antichus Epiphanes in 165BC, Philo sought to accomodate Platonic philosophy to Judaism. Accordingly, he reinterpreted Hebrew cosmology (largely by allegorising it) in terms of Platonic views of a spherical earth at the “bottom” of the universe, surrounded by the 7 crystal spheres of the planets and the outer sphere of the stars. His use of allegory makes it hard to find pithy quotes. Philo shows that second temple Judaism could, indeed, be influenced by almost anything apart from a home-grown “ANE cosmology”, except as re-interpreted from the old biblical texts. He is also, as a matter of anticipating the next “authority” for the “Hebrew cosmology”, a pointer to the sparse Islamic cosmology found in the hadith which came up next at BioLogos, in which Muhammad stresses Allah’s transcendance to some listeners by setting the clouds of heaven impossibly high, multiplying by seven, adding an ocean (equivalent to the Ptolemaic crystal sphere of the fixed stars), and then four supersized goats for good measure, before attaining the level in which Allah dwells. 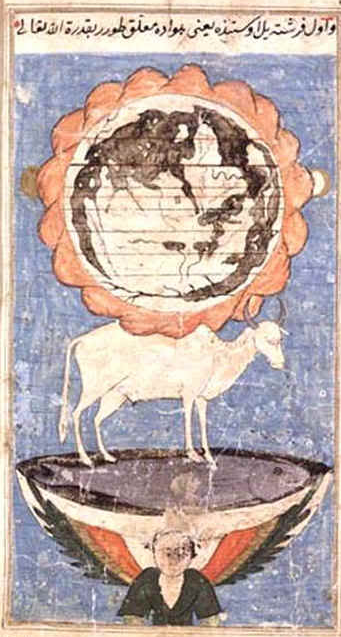 If one can find ANE cosmology in this, one has as good an imagination as the Prophet himself. But by now we’re in the eight or ninth century AD, in an Arabia trading with every possible neighbour and with a large population of Jews, Christians and heretics. I’m really not sure why we should look for pure ANE cosmology there.